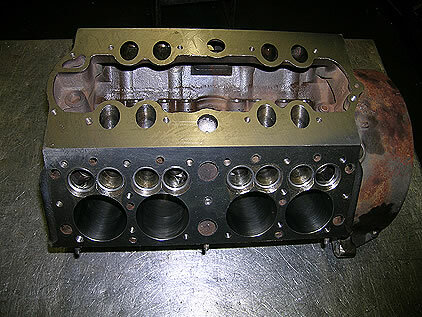 Shop services include Crankshafts, Blocks, Heads, Engines, Spindles and Axles. Antique & Vintage cars, Muscle cars, Tractors, Military Equipment and Marine Craft. Servicing Forklifts, Stationary Engines, Backhoes, Small Dozers, Pumps, Heavy and Light Trucks and Farm and Industrial Tractors. Haas Machine Company, now in its third generation of ownership, was founded in 1936 as a small family owned engine machine shop in downtown Louisville, Ky. 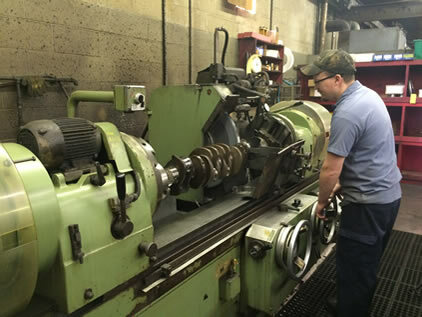 Since then it has grown into a full service machine shop providing complete engine machining services for all types of engines from small one cylinders to large industrial engines. We have also worked with many individuals providing our knowledge in servicing their personal needs. While we can work on the family car, Haas Machine Company specializes in working on and restoring antique, classic, vintage and muscle car engines as well as tractors, military equipment and marine craft. We work with and service clients around the continental United States. Haas Machine Company strives every day to deliver to our customers products with the best value and quality. Give us a call at (502) 456-1132 or e-mail us to fill out our work request form and let us do the job for you! 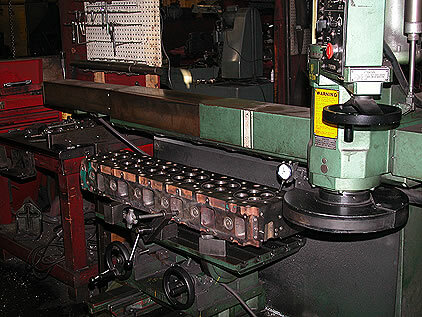 We offer a wide variety of shop services, including Crankshafts, Blocks, Heads, Engines, Spindles and Axles. We work on Antique & Vintage cars, Muscle cars, Tractors, Military Equipment and Marine Craft. We can service Forklifts, Stationary Engines, Backhoes, Small Dozers, Pumps, Heavy and Light Trucks and Farm and Industrial Tractors.